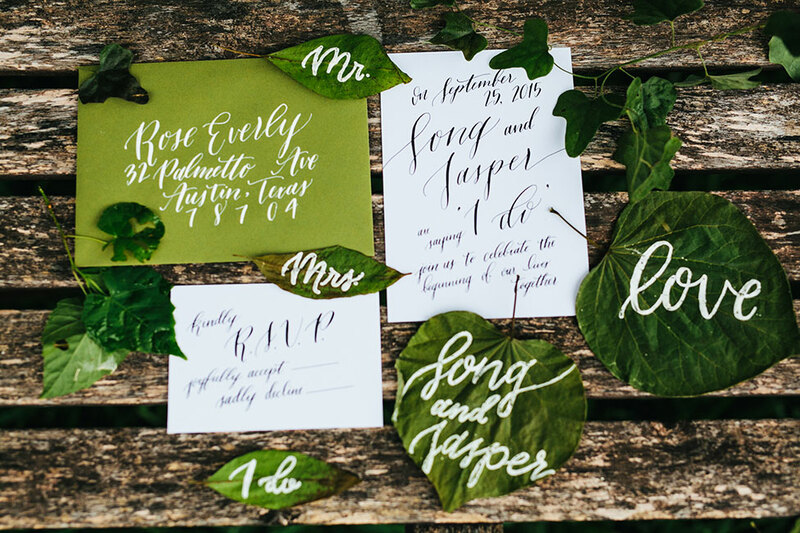 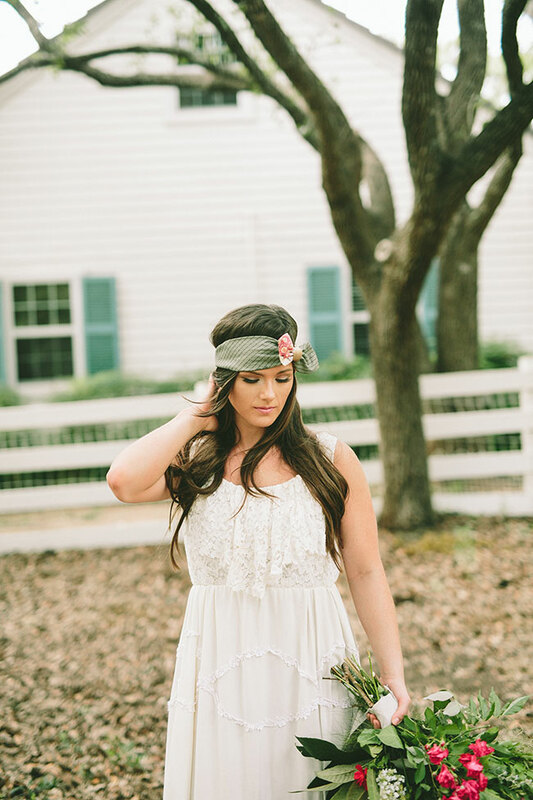 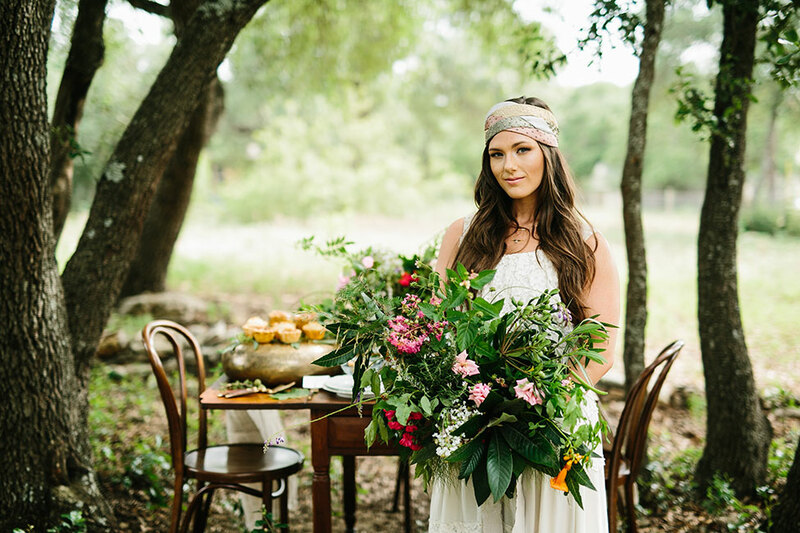 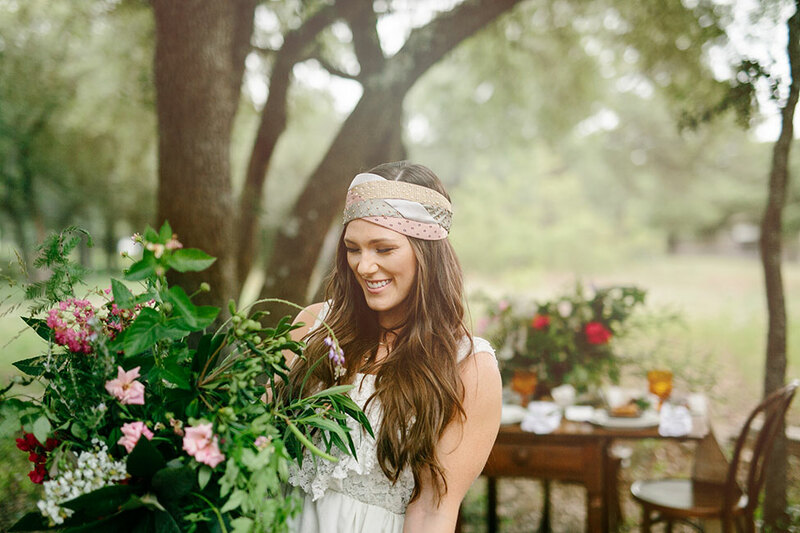 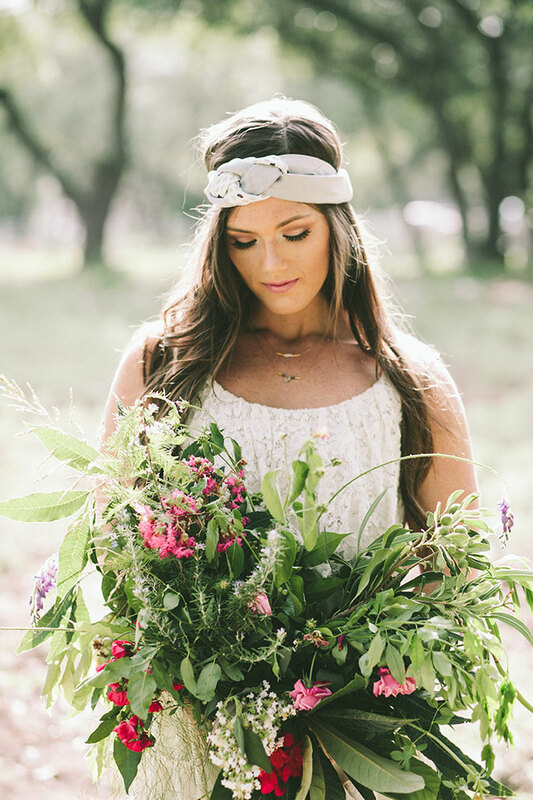 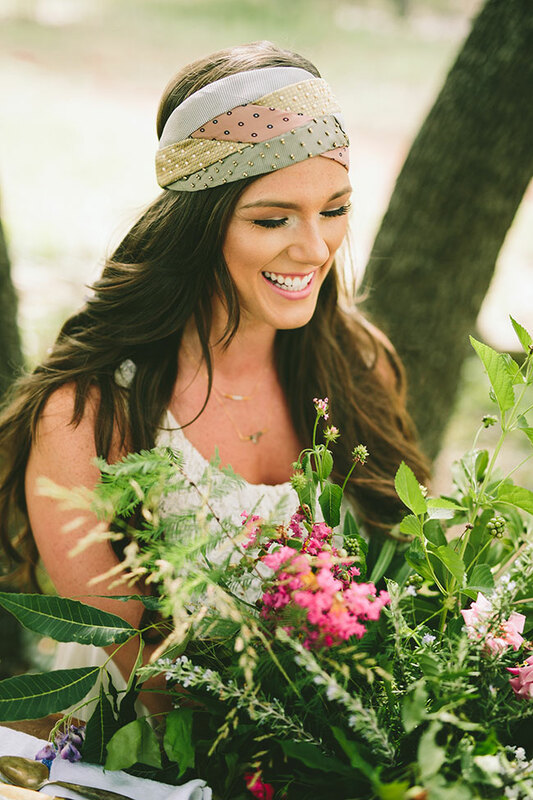 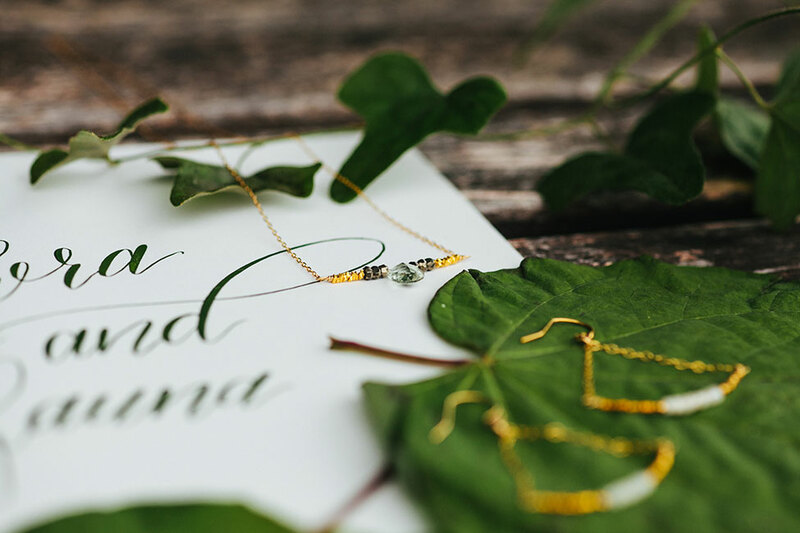 Today’s feature, a collaboration from Texas wedding photographer LewChan Photography & florist Little Yellow Flower Design, takes a page right out of one of my favorite books, use the gorgeous floral around you! 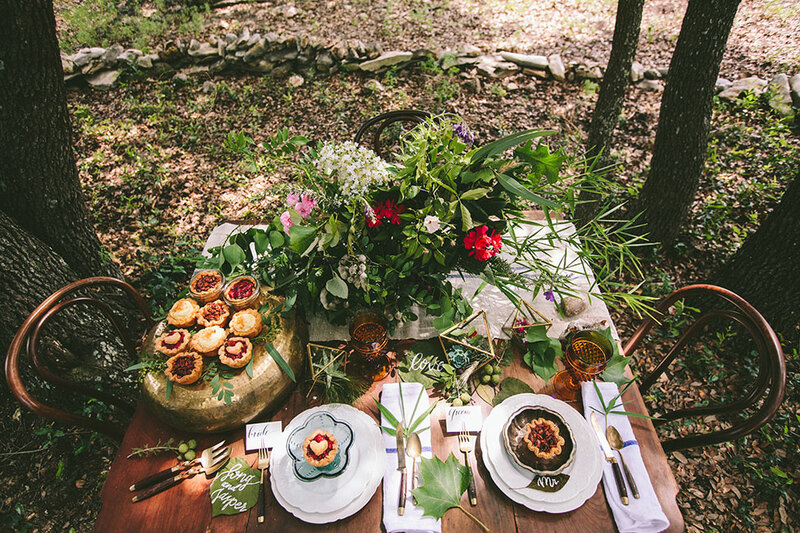 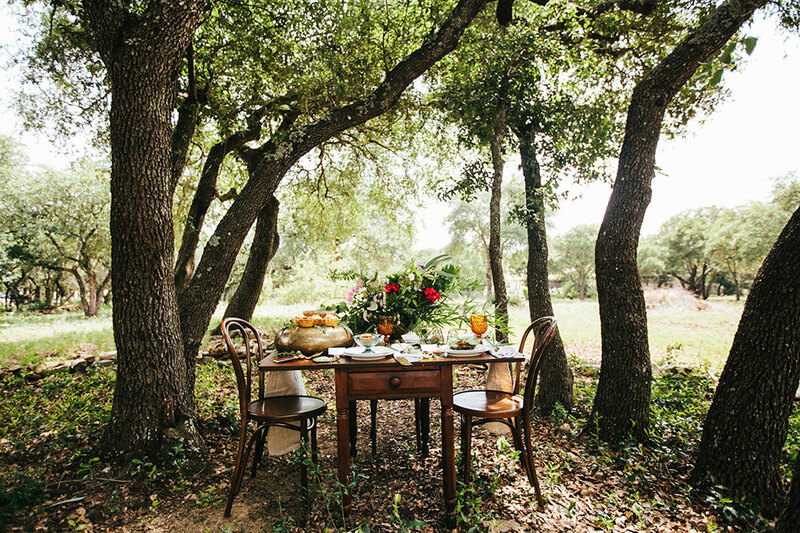 Over lunch sometime ago the couple conceived of an inspiration shoot in which every bit of floral was something found & foraged. 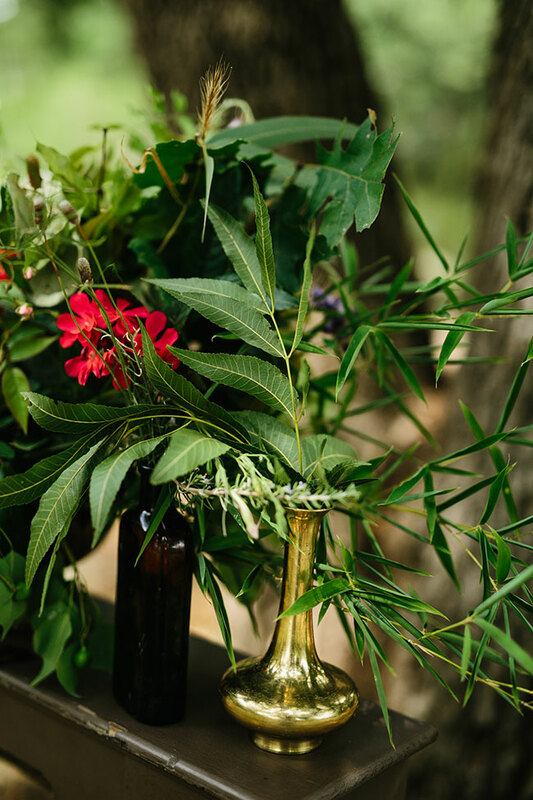 The result was a lush local organic mix of crepe myrtles, eucalyptus, pecan tree leaves, garden spray roses, mustang grapes, loquat leaves, bamboo, and vines! 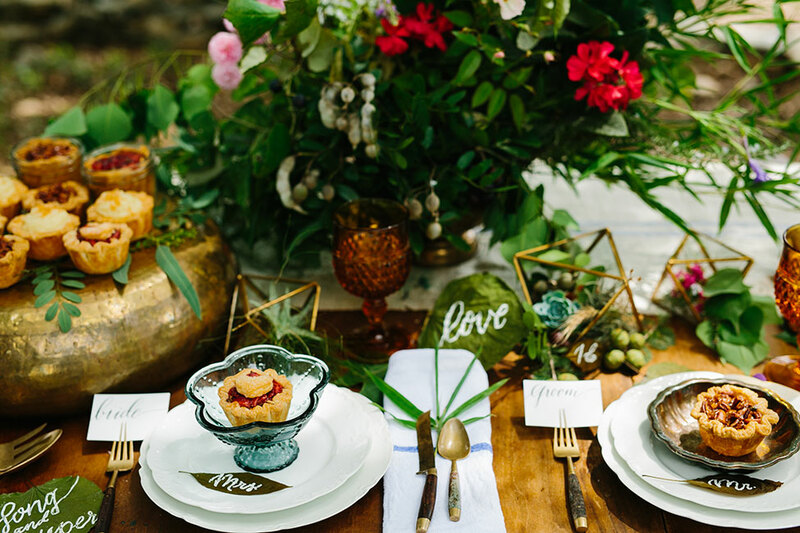 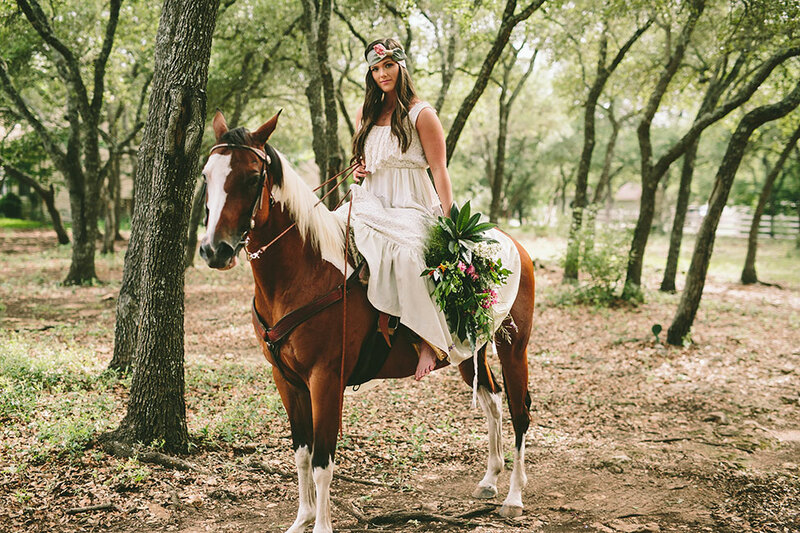 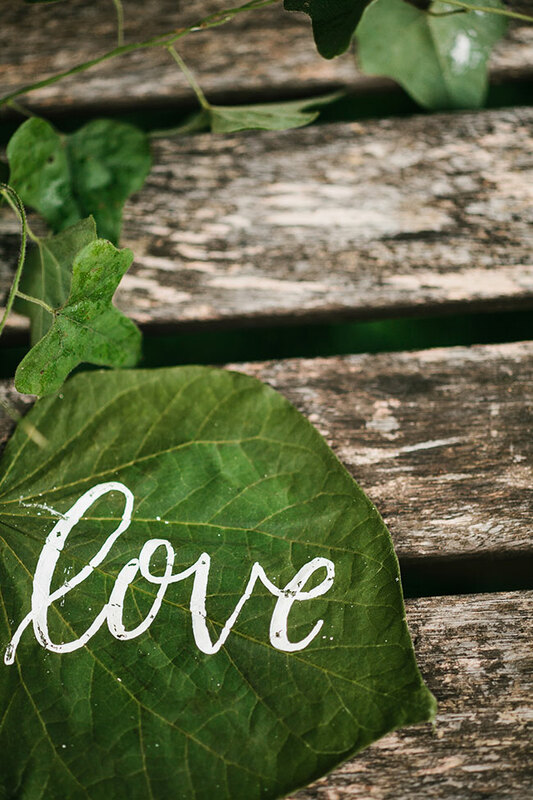 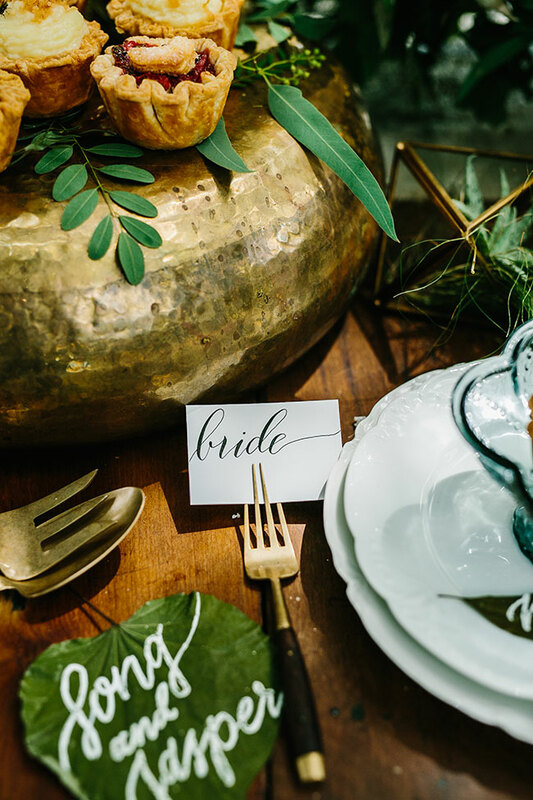 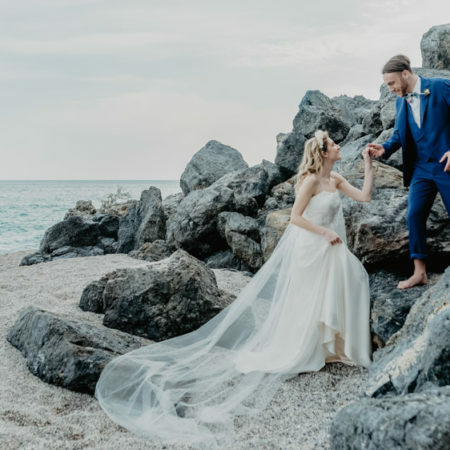 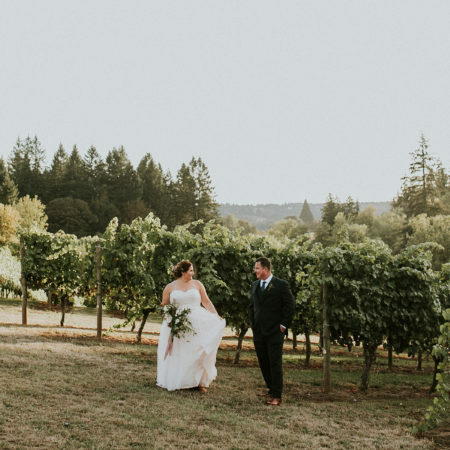 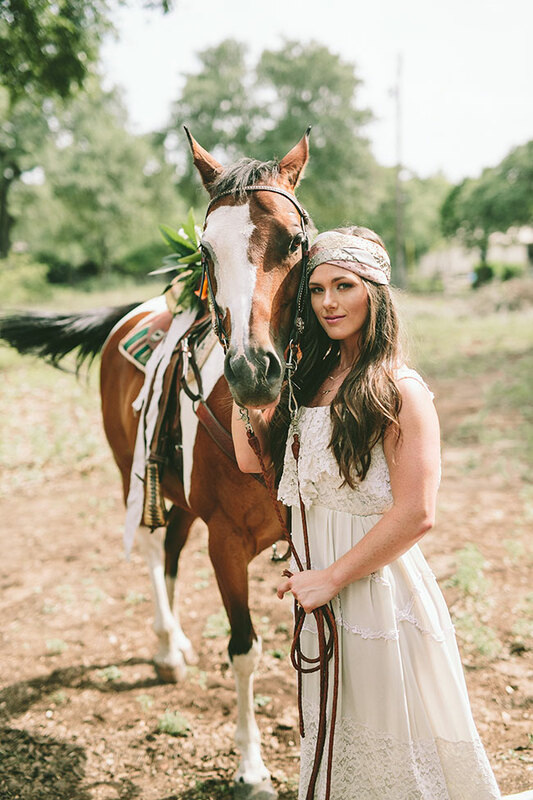 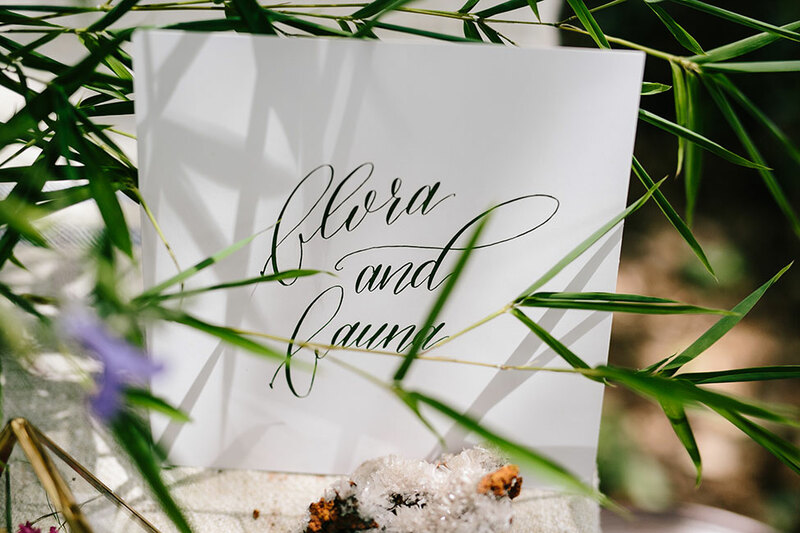 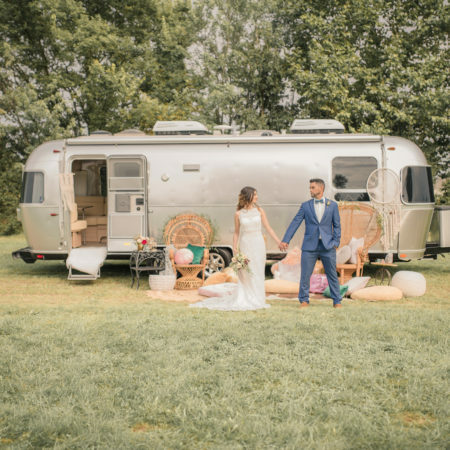 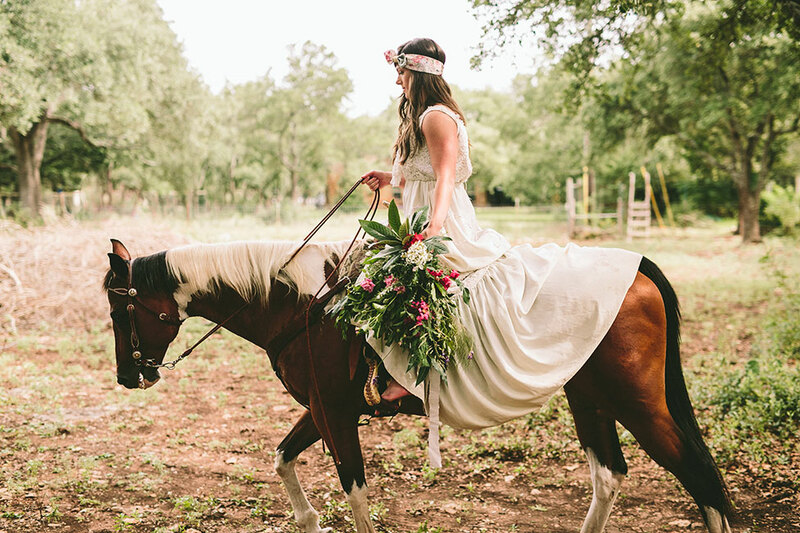 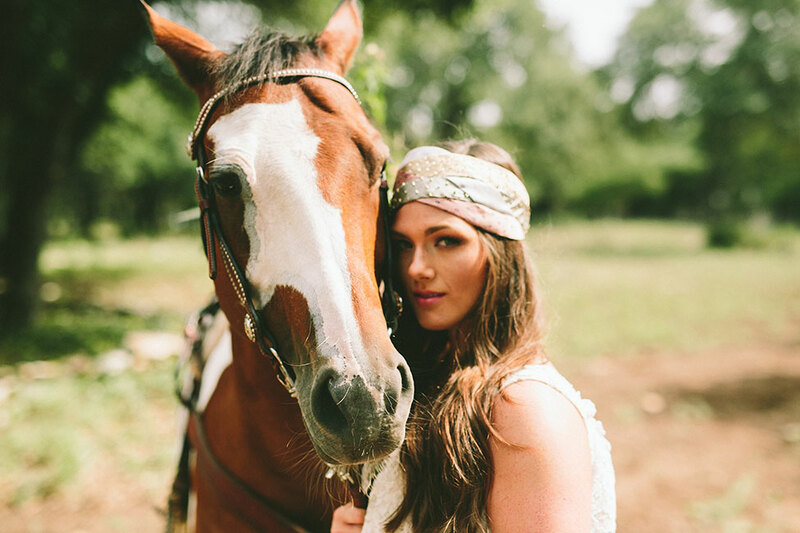 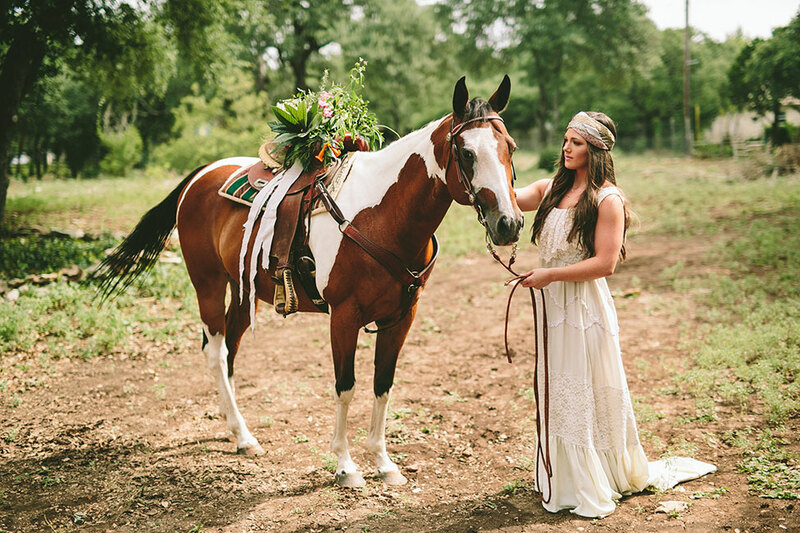 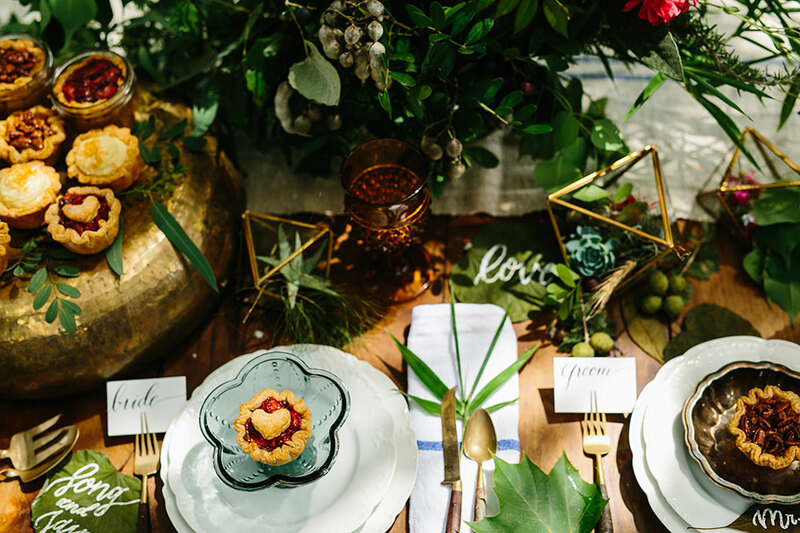 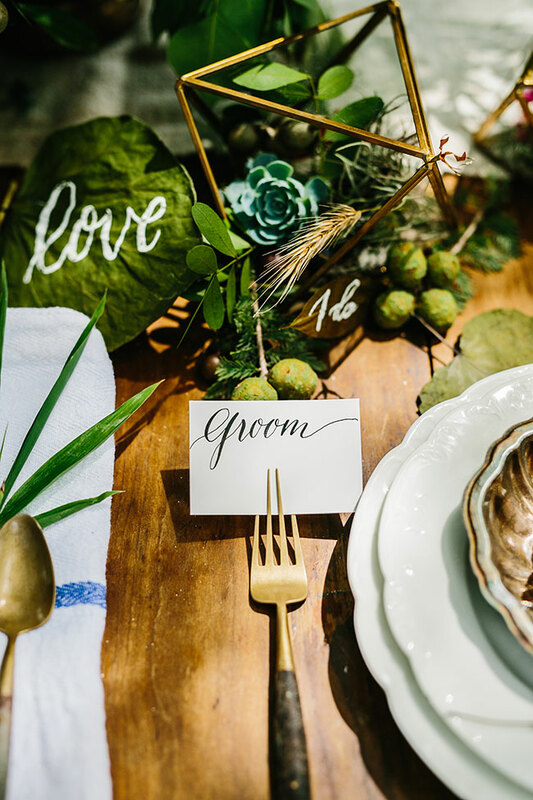 The duo set to work along side wedding stylist Sanregret Weddings & Events, armed with beautiful rentals from Loot Vintage Rentals to create a chic bohemian wedding with the perfect touch of whimsy. 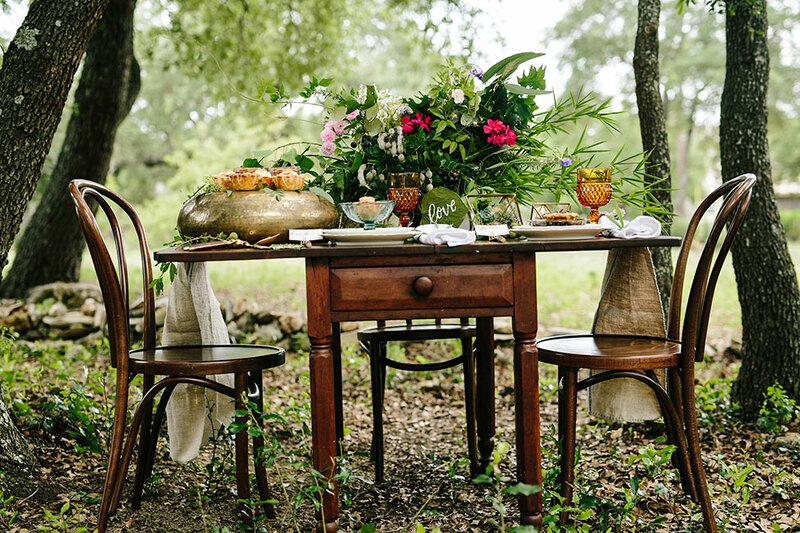 The bare wood table top was set with classic white cafe plates while details like vintage wood handled flatware and French grain sack table runner injected the perfect down home feel. 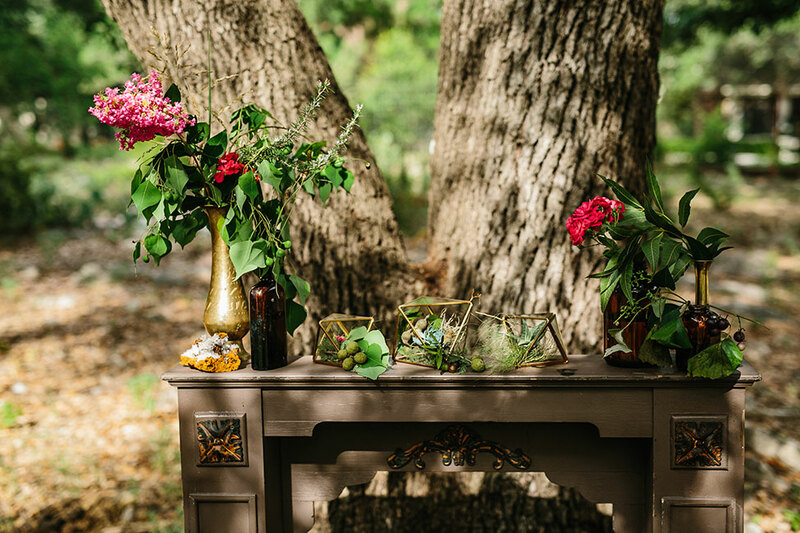 Floral detailing in the form of oversized arrangements, like the centerpiece & bouquet featured pops of blush pink & magenta, while petite glass terrariums with brass elements filled the spaces in between. 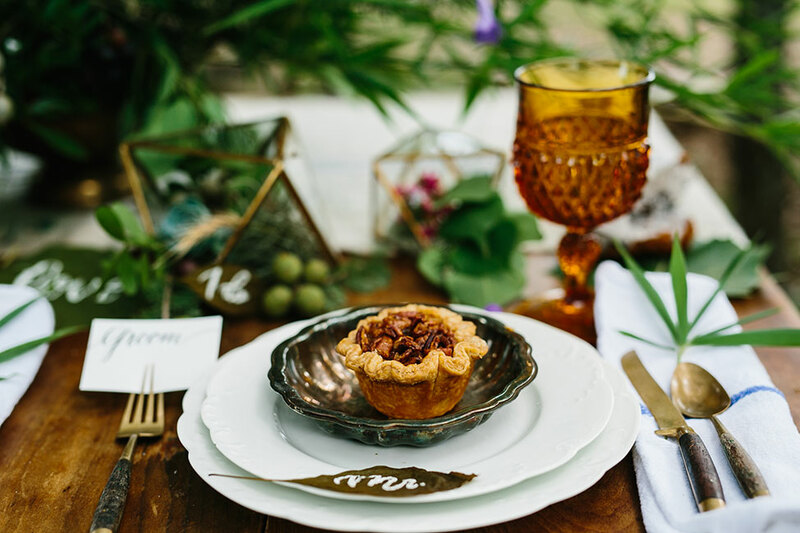 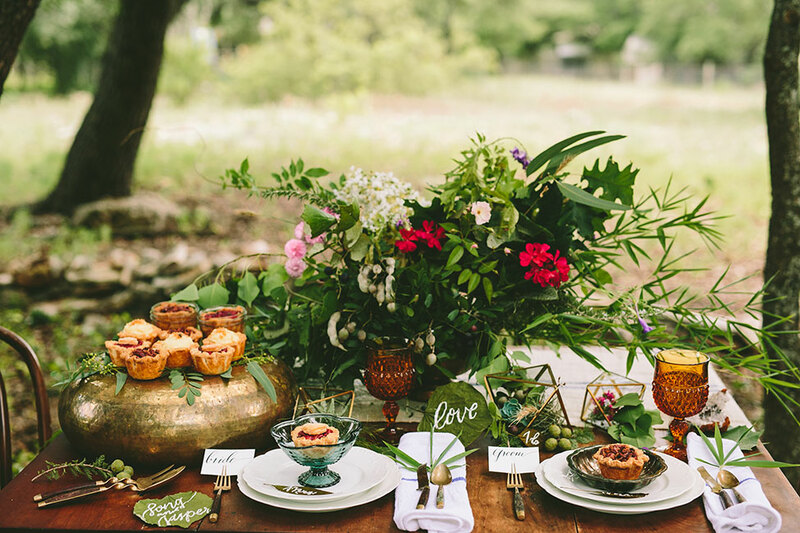 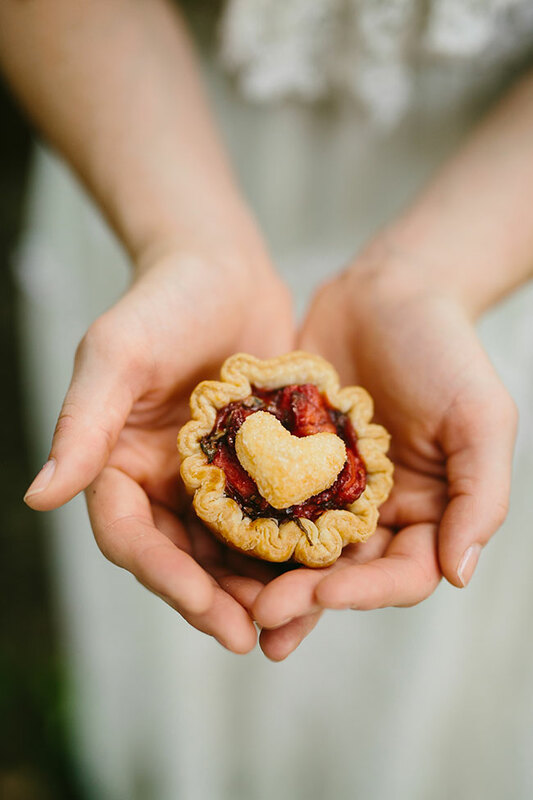 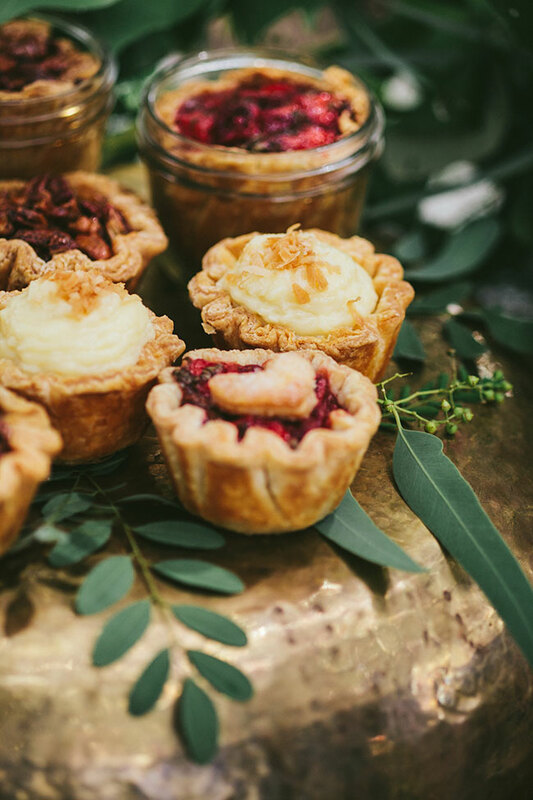 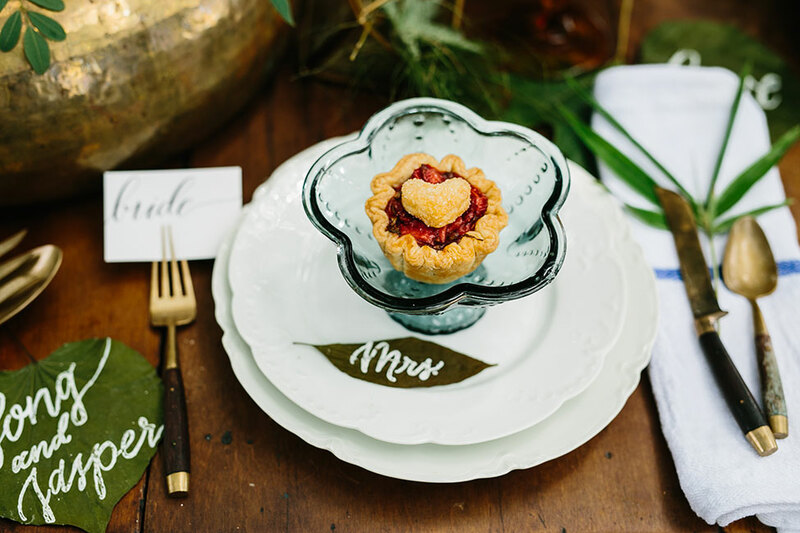 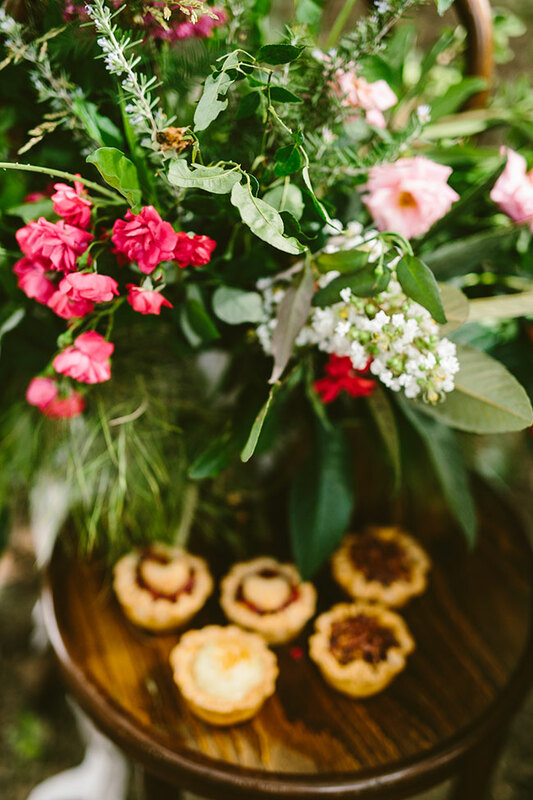 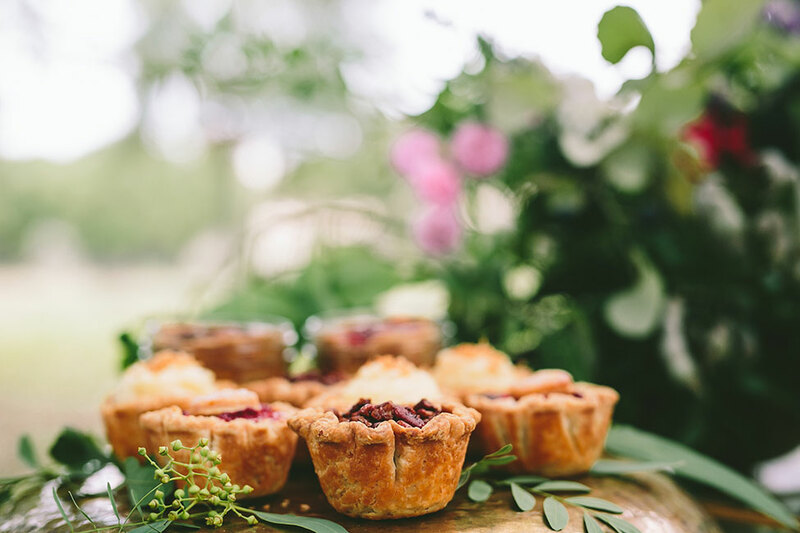 Tiny Pies dotted the table with scrumptious flavors like bourbon pecan, strawberry basil and coconut cream becoming stand out stars! 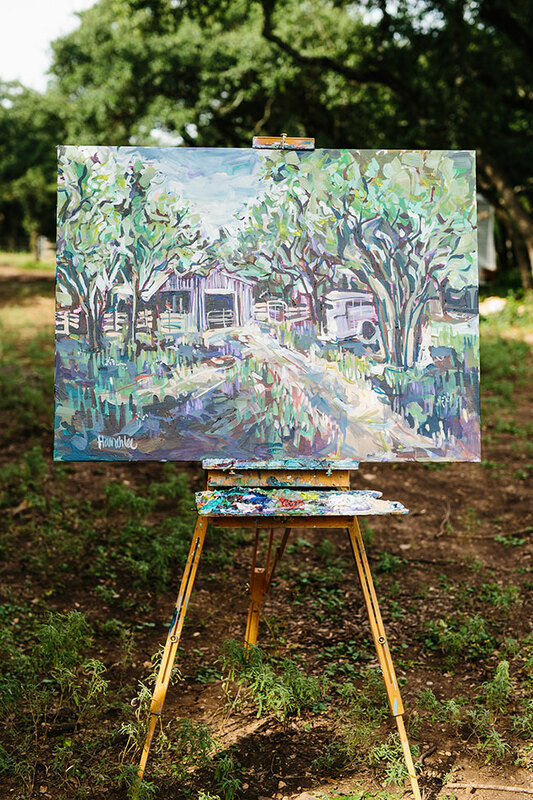 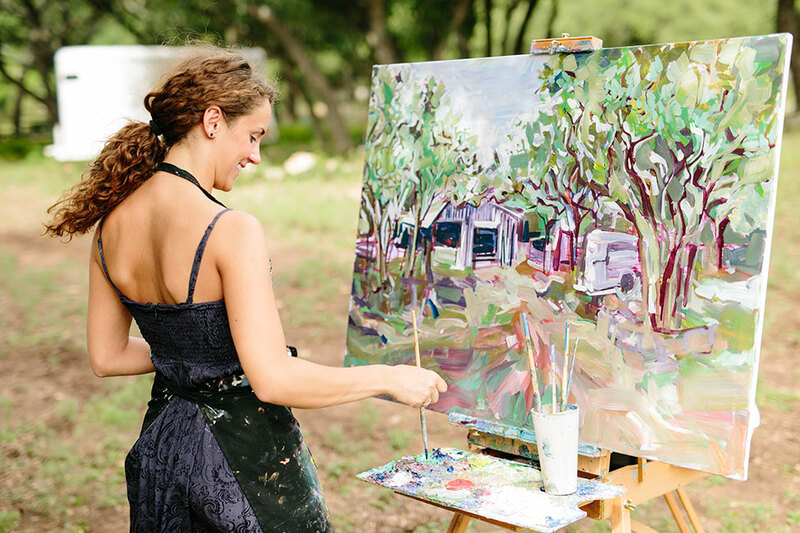 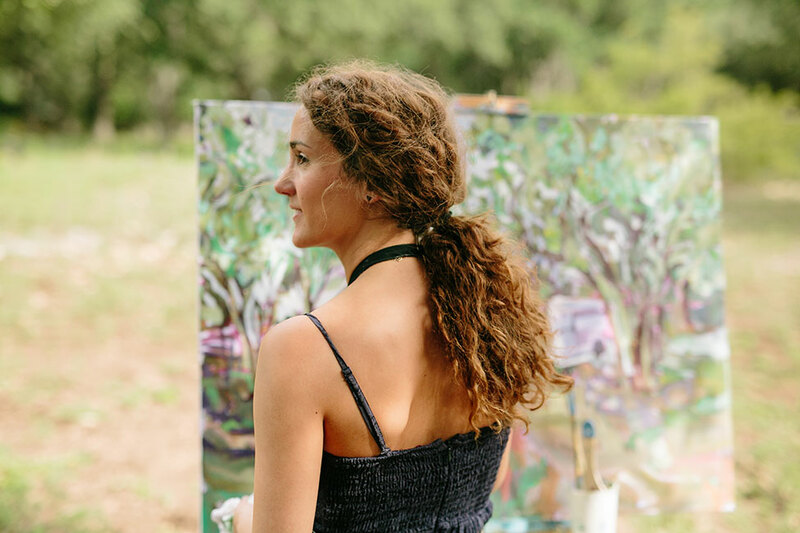 A unique piece to the inspiration shoot as a whole comes from local artist Hannah Lee Art of Austin, who actually paints weddings as they occur! 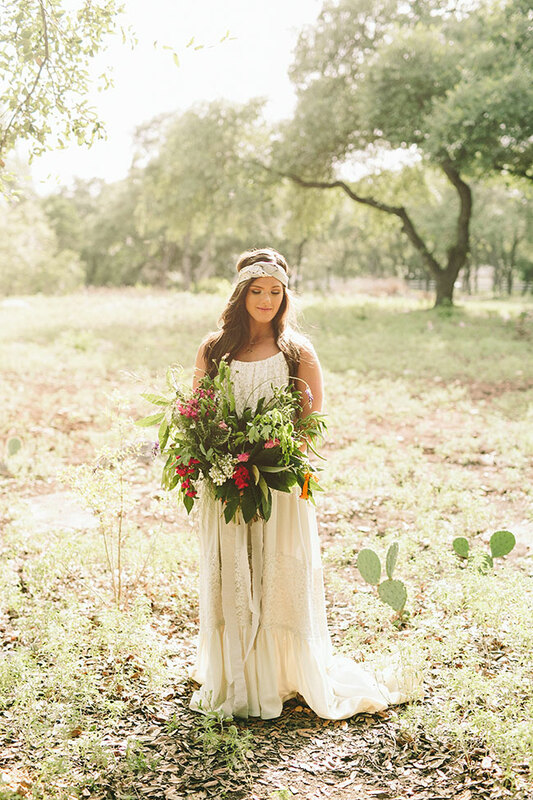 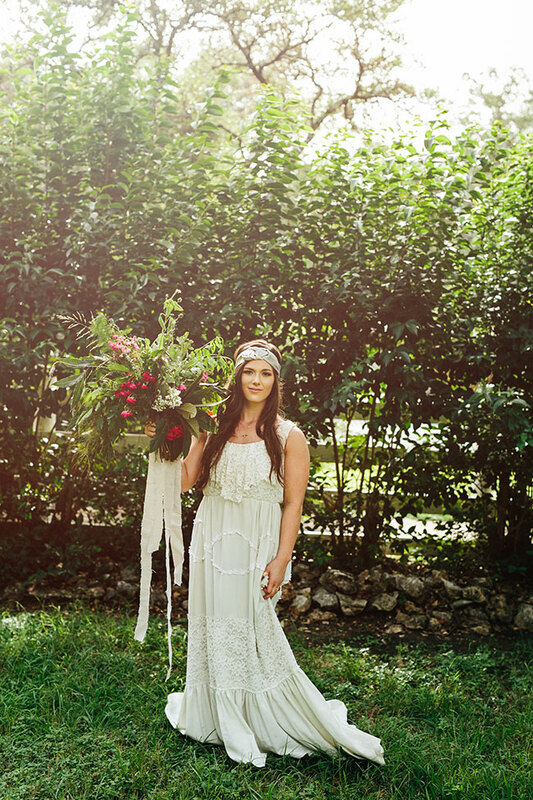 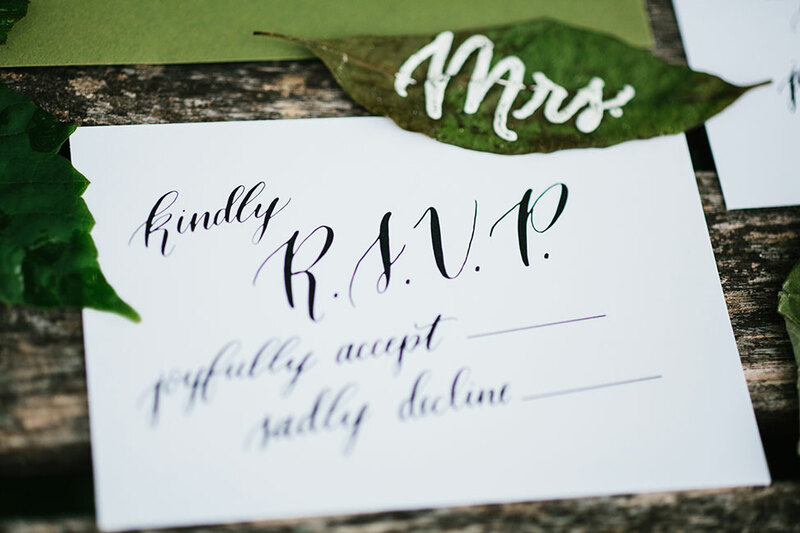 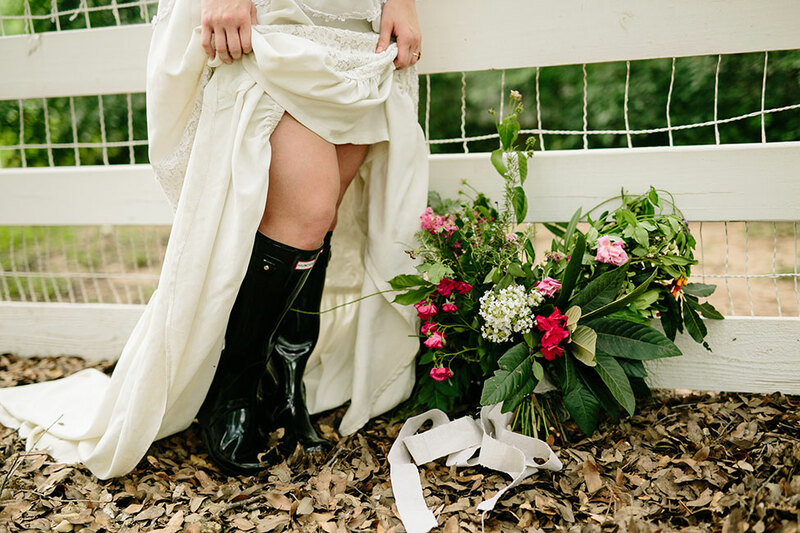 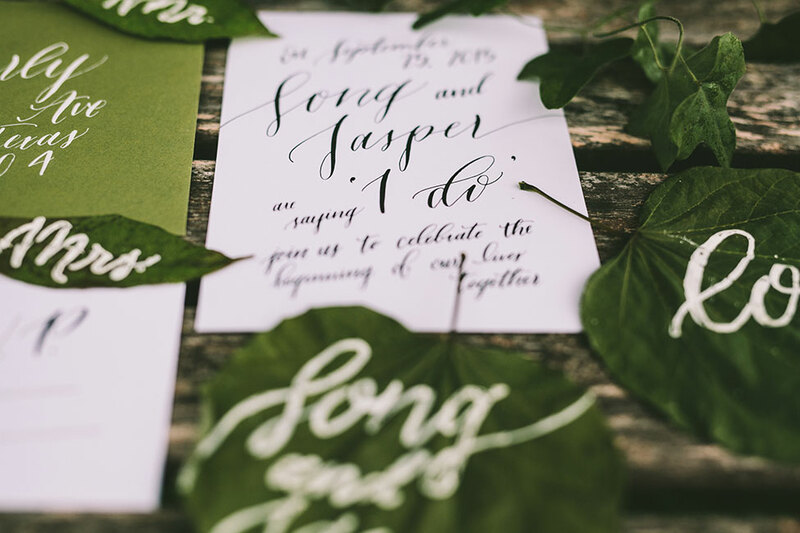 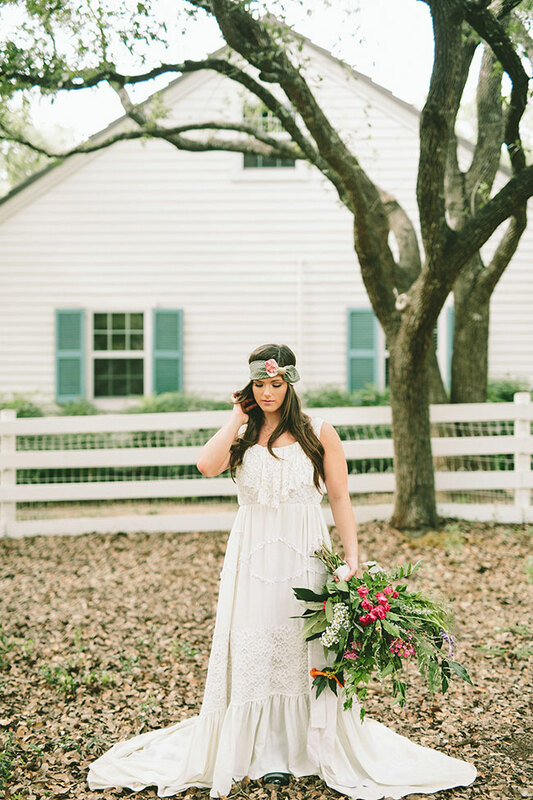 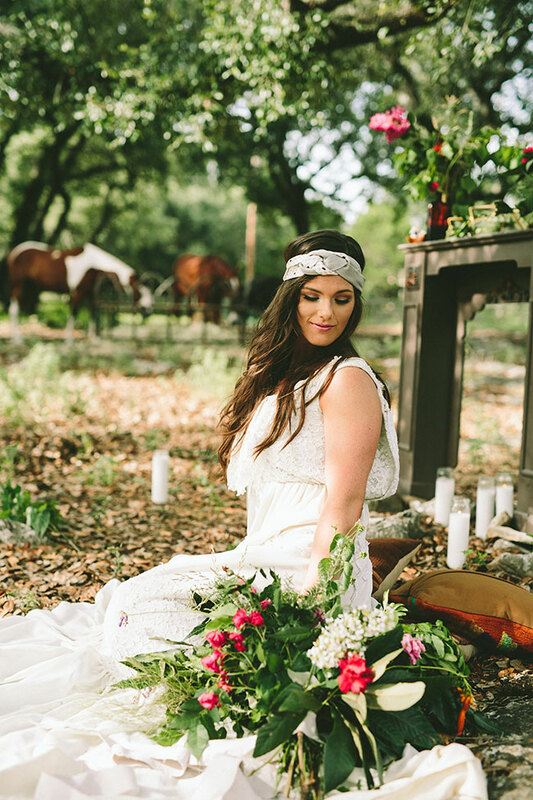 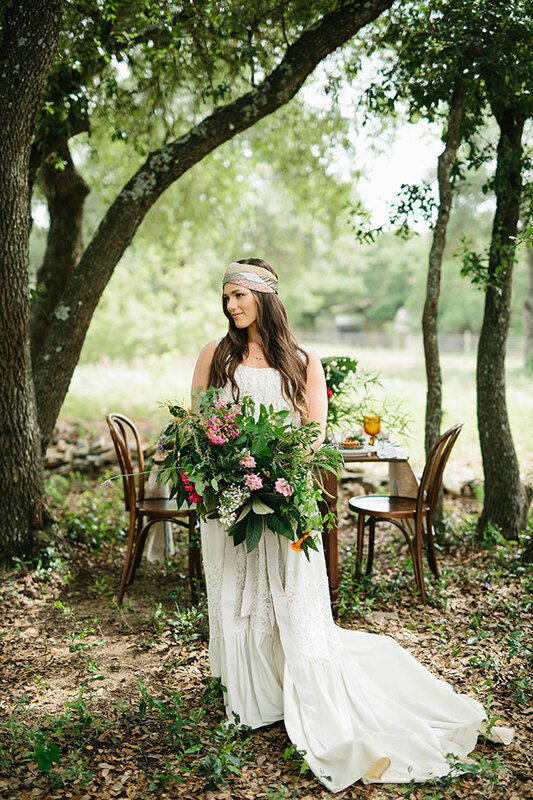 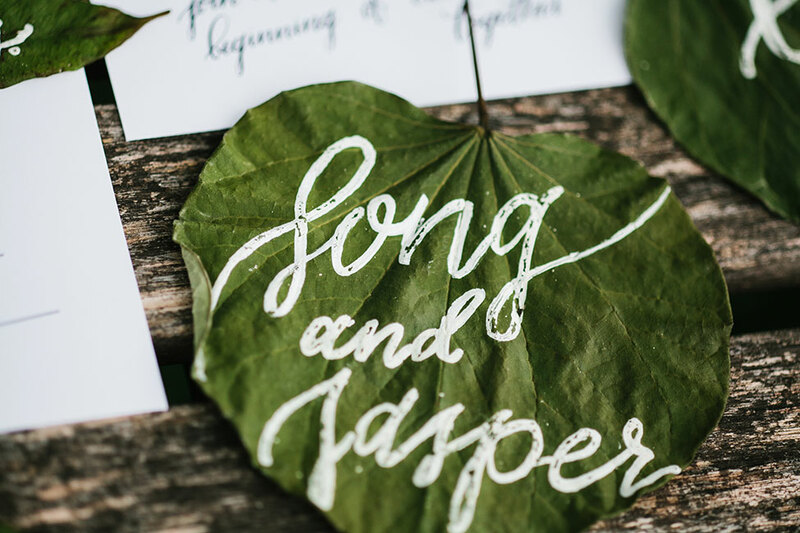 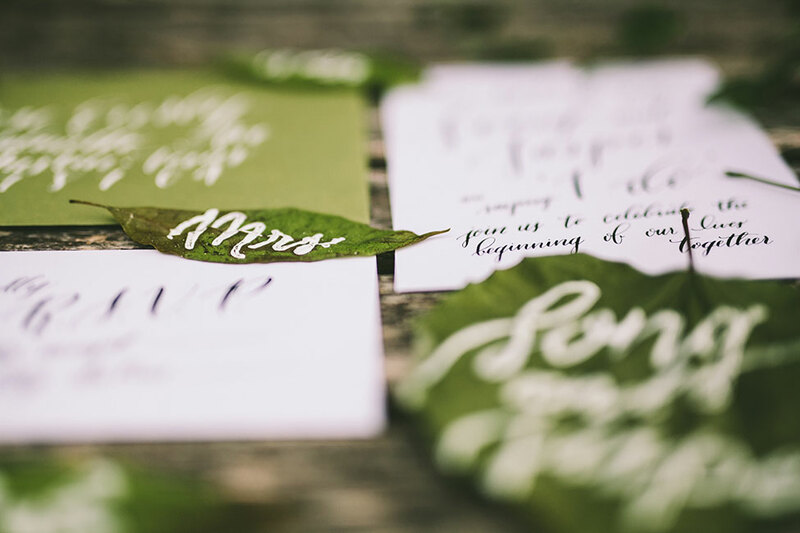 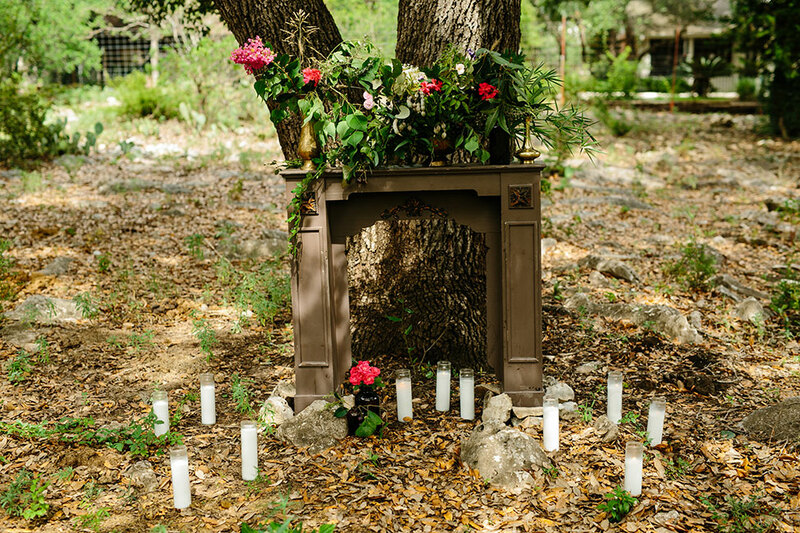 This Bohemian wedding is a gorgeous mix of fresh modern spirit meets rustic and country. 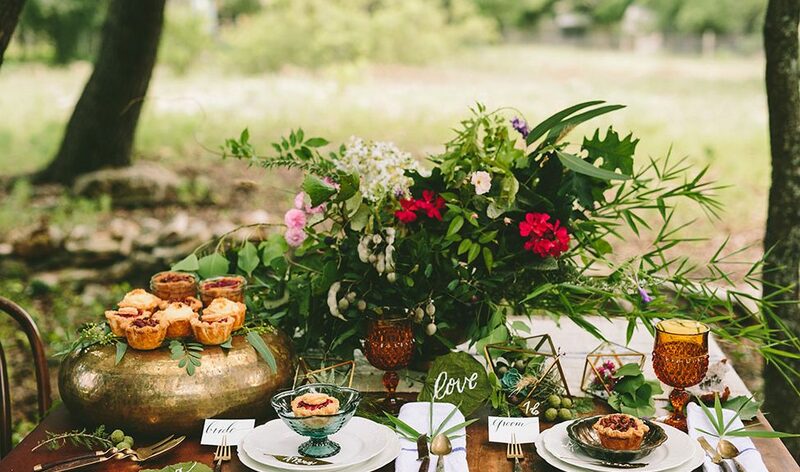 I love a good blending of themes and anytime you add in huge dashes of organic beauty, while, its an easy win!